California Pizza Kitchen specializes in California - style pizza. 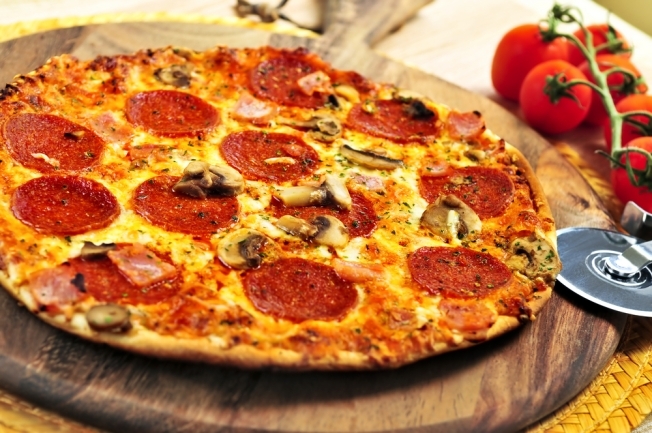 If you’re not a pizza lover, there are many other options on the menu such as sandwiches, pastas, soups and salads. California Pizza Kitchen has an upbeat atmosphere with lighting that lies comfortably in between dim and bright. The walls are decorated with painted pizza boxes and the coolest feature is the visible wood-fired oven. I visited the Bethesda, M.D. location. I tried the Hawaiian pizza, sesame ginger chicken dumplings and tortilla soup. I’m normally not a tortilla soup fan, but I loved it at California Pizza Kitchen. I really liked the sesame ginger chicken dumplings, which is chicken wrapped in won tons and then served with ginger sauce. CPK has made their Barbeque Chicken Pizza famous. They are known for their adventurous pizza choices such as Chipotle Chicken, Shrimp Scampi and Mango Tandoori Chicken. The menu ranges anywhere from $9-$20. Monday - Thursday: 11:30 a.m. - 10 p.m. Friday: 11:30 a.m. - 11 p.m. Saturday: 12 - 11 p.m. Sunday: 12 - 9 p.m.
Visit their Web site at www.cpk.com for more information.